Introduction to the series by Executive Producer Michael Gunton and Series Producer Rupert Barrington. 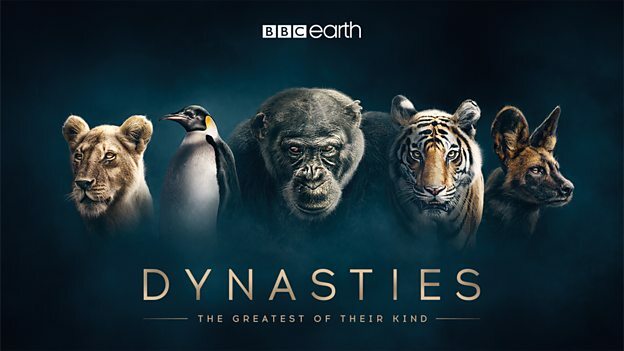 Dynasties is a new kind of natural history event. Five episodes, five of the most celebrated and endangered animals on the planet. Never before have we presented a landmark series with such powerful storytelling - about families, leaders and heroes. Never before has a landmark offered the viewer the opportunity to follow the lives of animals in such detail, each fighting against overwhelming odds for their own survival and the future of their families. These are some of the most dramatic and intense stories of their kind ever told. For each episode of Dynasties our crews spent many hundreds of days in a single, iconic location, each home to one of our animals. We joined those animals and their families at a critical moment in their lives. A chimpanzee leader battling for his position and his life on the edge of the Sahara. A dynasty of thousands of emperor penguins gathering on the frozen wastes of Antarctica to face the coldest and cruellest winter on earth. A powerful lioness, abandoned by her male protectors, leading her family against the gravest dangers of the African savannah. On the floodplains of Zimbabwe, a feud between a mother and daughter painted wolf, threatening the future of one of the last great families of their kind. A tigress in the jungles of India attempting to raise her family under ever growing pressure from her rivals and humanity. When we began filming we had no idea how each story would play out. This made Dynasties a highly risky undertaking. By spending so much time with our animals we gave ourselves the opportunity to capture extraordinary stories of families and leaders, heroes and villains, triumph and tragedy - But there was always the chance we would end up with no story at all… After all, nature is notoriously unpredictable. Making this series was a gamble - but a calculated gamble! To give ourselves the best chance, our teams collaborated closely with the experts who have studied these animals for many years. These scientists, guides and trackers were able to get our teams closer to these animals than ever before, to follow them every day, whatever the conditions, to understand who was who in each family and to interpret the significance of their every move. By the end of filming our teams had become experts themselves. They were able to capture moments and behaviours never seen before - even the scientists do not spend as long watching these animals as intensely as the Dynasties team have done. Most important of all this special access into the animals’ world, combined with the determination and resilience of our crews, yielded the great stories we had hoped for. The result is five stories that show us the strength and nobility of animals who never back down, even when all seems lost. The risk paid off.